Nowadays, men are embracing luxury jewelry just as much as women. Exclusive items such as men’s diamond rings give them the opportunity to express their style and character in a unique way. It’s recommended you measure your finger in an environment that’s neither too hot nor too cold as this will help determine the correct ring-size to use. High temperatures can make your fingers expand, whereas an environment that’s below room temperature may make them contract below the normal size, which may affect the accuracy of the reading. Moreover, if you discover that you fit between two sizes, it’s appropriate to go for the larger size just to guarantee comfort. The rule of thumb is that the ring shouldn’t be too tight on your finger or too loose to fall off. Picking the right metal for your diamond ring is extremely important. It not only influences the aesthetic value of the jewelry but also other factors like cost, maintenance, and care. Platinum is the rarest and most precious of all metals that you can choose. It’s white in color and emits a constant white glow without even using rhodium plating. It’s also resistant to corrosion and hypoallergenic by nature. Another alternative is yellow gold, which is available in 9 and 18-karat versions. The latter is purer and much softer as it contains more gold, whereas the 9-karat metal is harder as it has more alloys of white metals. For men’s diamond rings, shape refers to the general appearance of the stone while cut is its ability to reflect light. Some of the most common shapes are round, square, heart-shaped, rectangular, oval, pear-shaped, and marquise. On the other hand, a diamond’s cut is determined by its facets and angles, which affect how light is reflected from the pendant. The cut ratio can vary from excellent – where the stone emits as much radiance as possible – to poor – where light mostly escapes from the sides or bottom of the diamond. An expertly cut diamond ring for men will reflect light mostly from its surface, giving off a fiery and brilliant shine. This has a significant effect on the value of the jewelry and is a crucial factor to consider when choosing one for purchase. 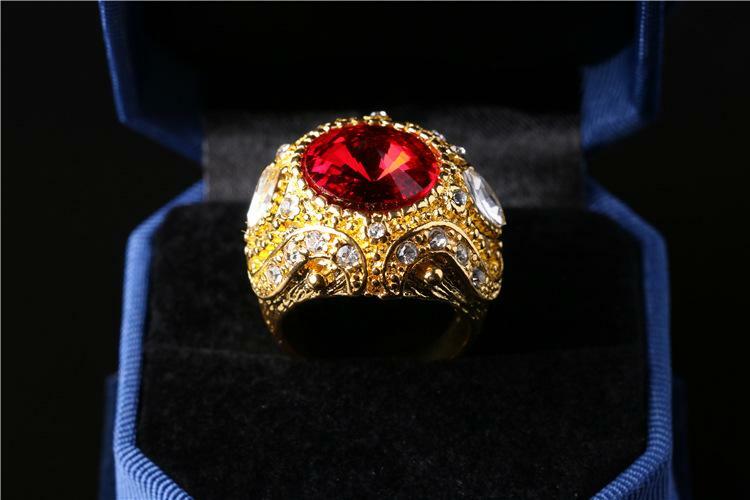 Profile refers to the design of the luxury ring. There are various classic designs that you can pick from depending on your individual taste and preferences. The classic court or traditional court ring is one of the most common types of shapes. It features a rounded interior that closely matches the exterior. 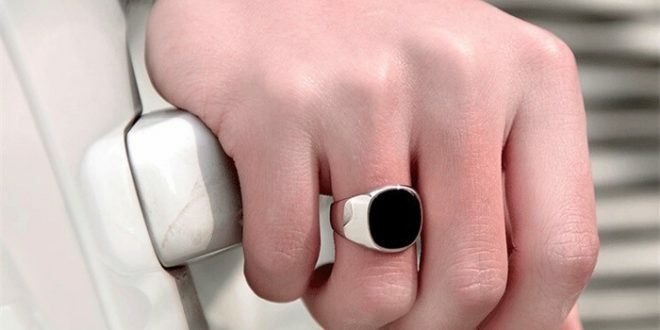 This forms a near-rounded ring that makes it very comfortable to wear. Additionally, there are D-shaped rings, which also have a rounded outer profile but with a flatter interior. They’re perfect for those who love the traditional classic look but still prefer the close-fitting flat profile. 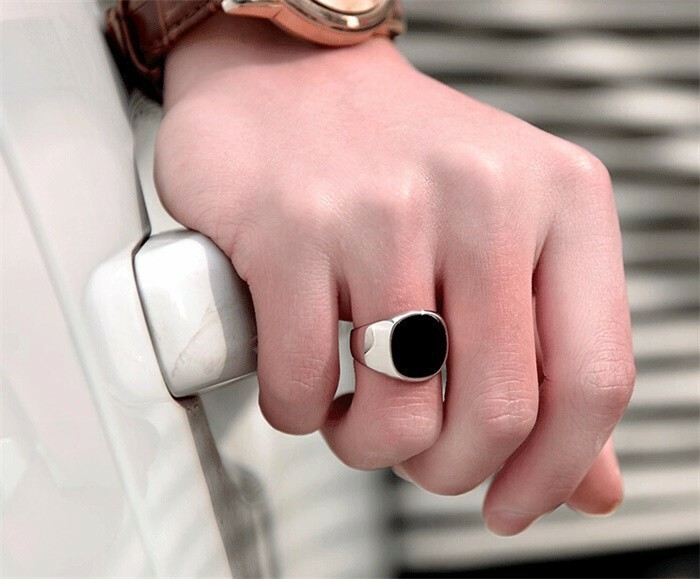 D-shaped luxury rings are also ideal for individuals with active hobbies since they are safer to wear owing to their streamlined design. Choosing an appropriate jewelry design can be a challenging task considering the many styles, shapes, and patterns available to pick from. If you find it difficult to make up your mind on any particular product, the best thing to do is to consult with the jewelry store assistants on the variety of designs available so as to pick the one that perfectly meets your needs. In summary, when shopping for luxury jewelry for men, it’s advisable to go for a piece that matches your character, lifestyle, and budget. Furthermore, ensure that the store where you are buying it from is legit and has been authorized by relevant bodies. Similarly, most retailers have a warranty policy for their jewelry, which can last for a few months or even years. Picking the correct luxury ring is important for any man who cares about his style and appearance. High-end jewelry is not just attractive to look at but also defines an individual’s personality.